This is the role of Mary in the Church and in our own lives — for who is closer to the Son than his mother? Q: What are Marian apparitions, and how can the Church decide if they are true? A: Marian apparitions are considered to be private revelations according to what is taught in the Catechism. They don’t “improve or complete Christ’s definitive Revelation, but help to live more fully by it in a certain period of history” (No. 67). 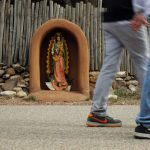 Marian apparitions can be investigated and approved by the local bishop, but in some cases, the Holy See takes over the inquiry. In 1978, Paul VI approved a document of the Congregation for the Doctrine of the Faith that lays out norms for discerning apparitions. Among the criteria used are the harmony of the messages with Catholic doctrine, the docility of the visionaries to Church authority and the signs of the supernatural. Q: Why do Catholics give so much attention to Mary? A: Blessed Mother Teresa of Kolkata is credited with a simple response to this question: “No Mary, no Jesus.” This reply gets to the heart of the matter. St. Paul writes in Galatians that, “when the fullness of time had come, God sent his son, born of woman, born under the law” (4:4). This means that a woman named Mary — the mother of the Incarnate Word of God — is at the very center of salvation history. Down through the centuries, there have been numerous reports of appearances or apparitions of Mary. Some of these apparitions have been accepted as worthy of belief by Church authority, most especially the apparitions of Guadalupe (in 1531), Lourdes (1858) and Fatima (1917). 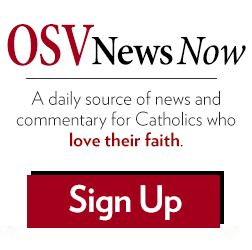 Q: How can Catholics believe Mary was conceived without original sin when Romans 3:23 tells us that “all have sinned and are deprived of the glory of God”? A: St. Paul is making a general statement about the condition of humanity after the fall. He does not intend to exclude exceptions to the “all” who have sinned, because Jesus never sinned nor did the good angels. In 1 Corinthians 4:5, St. Paul states that “everyone will receive praise from God.” Does this “everyone” include Satan, the demons and the damned? In fact, the Catholic dogma of Mary’s Immaculate Conception developed precisely because Mary is the mother of Jesus, who “has similarly been tested in every way, yet without sin” (Heb 4:15). The dogma of Mary’s plenitude of grace from the moment of her conception finds support in the greeting of the angel in Luke 1:28. Mary is spoken of as “full of grace” (kekaritomene) which in Greek means one who has been and continues to be “favored” or “graced” by God (alternate translations could be “completely graced” or “thoroughly graced”). Since Jesus is fully human but without sin, it was necessary, then, that he take his human nature from one who is “full of grace” and thus free from all sin (original as well as personal sin). The universal Church celebrates the birthday of Blessed Virgin Mary, the Mother of Jesus, on September 8. . In the 13th century, the Franciscan theologians William of Ware and Blessed John Duns Scotus developed the idea of “anticipatory redemption” or “preredemption.” The merits of Christ were applied to Mary in anticipation of her future role as the mother of the Word Incarnate. Thus, Mary was redeemed by Christ by being preserved from all stain of original sin. In 1854, Blessed Pius IX defined the doctrine of the Immaculate Conception as a truth revealed by God to be believed by all the faithful. Q: Do Catholics worship Mary? A: According to Catholic teaching, it is forbidden to worship any creature, and Mary is created by God — “For no creature could ever be counted as equal with the Incarnate Word and Redeemer” (Lumen Gentium, No. 62). 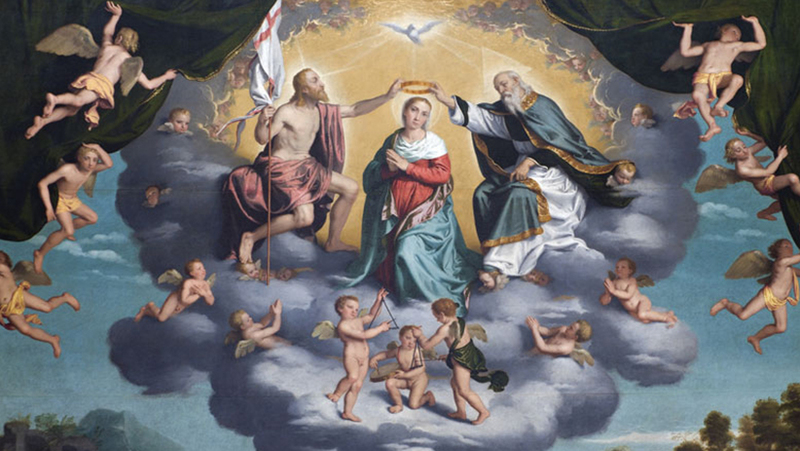 The Second Council of Nicaea in 787 made a clear distinction between the worship due to God alone and the veneration or honor (often called dulia) that can be given to Mary, the angels, the saints and sacred images. Because Mary is the “Queen of the Saints” and the “Queen of the Angels,” she can be accorded high veneration (hyperdulia). Mary, though, can never receive the worship due to God alone. Q: Why do Catholics call Mary “the Mother of God”? How could God have a mother? A: It’s not just Catholics who recognize Mary as the Mother of God. Eastern Orthodox Christians also honor Mary as the theotokos, the God-bearer or birth-giver of God. Even Luther and Calvin acknowledged that Mary was the Mother of God (though Calvin did not wish people to use the title). Why, though, is Mary called “the Mother of God”? It is because she is the mother of the Word Incarnate who is divine. Numerous Scriptures identify Mary as the mother of Jesus (Jn 2:1; Mt 1:18, 2:11, 12:46). Since Jesus is God (cf. Jn 1:1), Mary must be recognized as the one who bore God in her womb. Mary, of course, is not the mother of the Trinity or the divine nature of Jesus. Nevertheless, the person of the Word of God was the child she conceived in her womb and the child to whom she gave birth. The prophecy of Isaiah 7:14 is applied to Jesus and Mary in Matthew 1:23. Mary is the virgin who gives birth to Emmanuel (God is with us). Probably the strongest Scriptural support for Mary as the Mother of God is found in Luke 1:43, where Elizabeth speaks of Mary as “mother of my Lord.” The Greek word for Lord used here, “kyrios,” was used as a translation of the Hebrew word for God’s personal name, YHWH, spoken by Jews as “Adonai” or “Lord.” (Catechism of the Catholic Church, No. 446). The belief in Mary as the Mother of God is a solemn dogma of the Catholic Church proclaimed at the Council of Ephesus in 431. Q: Why is the color blue associated with Mary? A: In the ancient world, the color blue was associated with royalty. Beginning around A.D. 500, Mary is displayed in Byzantine art wearing a dark blue mantle, which is a sign of her royal dignity as queen. The association of Mary with the color blue spread to the West and has continued throughout the ages. Q: How old was Mary when she gave birth to Jesus? A: We really don’t know for sure. The great Jesuit, Francisco Suárez (1548-1617), who is considered the father of systematic Mariology, provides a survey of the Church Fathers and theologians on this issue in his 1592 treatise, “On the Mysteries of the Life of Christ.” Suárez reports the consensus to be that Mary was around 14 when she conceived Jesus. He mentions that the Dominican theologian Cajetan believed Mary to be 19 to 24 when she conceived Jesus, but Suárez describes this as mere conjecture. Q: If the New Testament speaks of the brothers and sisters of Jesus, why do Catholics believe Mary remained ever-virgin? A: Nowhere in the New Testament does it ever identify the “brothers and sisters” of Jesus as the sons or daughters of Mary, his mother. According to Old Testament usage, close relatives could also be referred to as “brothers or sisters.” This is spelled out well in paragraph 500 in the Catechism of the Catholic Church. 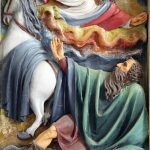 When Matthew 1:25 tells us that Joseph had no relations with Mary “until she bore a son,” this does not mean that Mary and Joseph had marital relations after Jesus’ birth. In 2 Samuel 6:23 we read how “Saul’s daughter Michal was childless until her death.” This does not mean she had children after her death! The Fathers of the Church also found evidence of Mary’s perpetual virginity in the New Testament. Mary’s reply to the angel, “How can this be, since I have no relations with a man?” (Lk 1:34) suggests a resolve to remain a virgin. When our Lord entrusts the care of Mary to the beloved disciple (Jn 19:26-27), it implies that Mary had no other children to whom she could be entrusted. Q: Why do Catholics pray to Mary when we can appeal directly to God? A: Catholics, of course, can pray directly to God, the Holy Trinity. Vatican II, though, recognized the “close and indissoluble tie” that unites Mary to her divine son (Lumen Gentium, No. 53). Mary is intimately united to her divine son, and she is “our mother in the order of grace” (Lumen Gentium, No. 61). Q: If Mary is so important, why does the Bible say so little about her? A: Mary’s importance is not to be measured by the mere number of biblical citations but her central role in biblical revelation. In his 1987 encyclical, Redemptoris Mater (“Mother of the Redeemer”), St. John Paul II points to “the mystery of that ‘woman’ who, from the first chapters of the Book of Genesis until the Book of Revelation, accompanies the revelation of God’s salvific plan for humanity.” Likewise, in his 1988 apostolic letter, Mulieris Dignitatem (“On the Dignity and Vocation of Women”), John Paul II notes that, because the Incarnation “constitutes the culminating and definitive point of God’s self-revelation to humanity … a woman is to be found at the center of this salvific event.” Mary, the mother of the Incarnate Word, is essential to God’s plan of salvation because Jesus is the culmination of salvation history. The Church Fathers found many foreshadowings or prefigurements of Mary in the Old Testament. They saw her as the woman at enmity with the serpent (Gn 3:15); the “New Eve” who will be “the mother of all the living” (Gn 3:20); “the daughter Zion” (Zec 2:14), and “the Ark of the Covenant” (Ex 40; cf. Rv 11:19). In 2 Samuel 6:9, David says: “How can the ark of the Lord come to me?” In a very similar way in Luke 1:43, Elizabeth exclaims: “And how does this happen to me that the mother of my Lord should come to me?” David dances with joy before the ark of the Lord (2 Sm 6:14-15) just as John the Baptist leaps for joy in the womb of St. Elizabeth when Mary, carrying the child Jesus in her womb, approaches (Lk 1:41). Mary is also foreshadowed as the king’s mother in 1 Kings 2:19; as the “closed gate” of perpetual virginity in Ezekiel 44:1-2; and as the Virgin Mother of Emmanuel in Isaiah 7:14 (cf. Mt 1:23). In the New Testament, Mary plays a central role because she is the mother of Christ, the redeemer. St. Paul alludes to Mary in Galatians 4:4-5, and all four Gospels speak of her. Mary is shown as the Virgin Mother of Emmanuel (Mt 1:22–23) who flees to Egypt with Jesus and Joseph (Mt 2:13-21). In the Gospel of Luke, Mary is prominent at the Annunciation (1:26-38) and the Visitation (1:39-45). Also in Luke, she prays the Magnificat (1:46-56), gives birth to Jesus (2:1-7), presents him in the Temple (2:22-38) and later finds him in the Temple preaching among the teachers of the law (2:41-52). In John’s Gospel, Mary appeals to Jesus at the wedding feast of Cana to perform his first miracle (2:1-12); she’s also present at the foot of the cross where Our Lord gives her as mother to John and (by extension) to all Christians (19:25-27). Mary is present with the apostles in the upper room praying for the coming of the Holy Spirit at Pentecost (Acts 1:14). In Revelation 12, Mary is seen as the woman clothed with the sun, about to give birth. She is opposed by the dragon who wishes to devour her son. Q: How long did Mary live before her death and assumption into heaven? A: When Pius XII defined the dogma of Mary’s assumption in 1950, he deliberately left open the question of whether or not she died before her assumption into heaven. 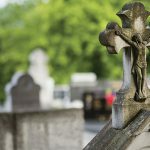 If Mary did die, however, it was not due to original sin. 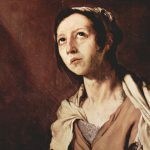 As to how long Mary lived following the ascension of our Lord, opinions vary. St. Bridget of Sweden believed it was for 14 years, Blessed Anne Catherine Emmerich held to 13 years, and María of Ágreda thought it was for 21 years. Q: Is it true some Catholics consider Mary to be a “co-redeemer” or “co-redemptrix” with Christ? A: The title of Mary as co-redemptrix has been used by many Catholic saints since the 14th century, including St. Bridget of Sweden, St. Veronica Giuliani and St. Maximillian Kolbe. The Holy Office in 1914, under St. Pius X, approved an indulgence for a prayer invoking Mary as “co-redemptrix of the human race.” Pope Pius XI referred to Mary as co-redemptrix three times in public addresses during his pontificate, and Pope St. John Paul II used the term or its cognate at least six times while pope. What, though, does it mean to speak of Mary as co-redemptrix? Basically, it means that, by the will of God, Mary cooperated in a unique and singular manner in the work of redemption, with and under her divine Son. Lumen Gentium, citing St. Irenaeus, notes that Mary, by her obedience to God’s plan “became the cause of salvation for herself and for the whole human race” (No. 56). Moreover, at the foot of the cross, suffering in a profound way with her only-begotten Son, Mary “uniting herself with a maternal heart with his sacrifice,” and lovingly consented “to the immolation of this victim which she herself had brought forth” (Lumen Gentium, No. 58). There are a number of approved religious communities, associations and centers that use the term co-redemptrix in reference to Mary. Some of these were founded before Vatican II and others after the council. Titles attributed to Mary, such as co-redemptrix or mediatrix, must be understood in a way that “neither takes away from nor adds anything to the dignity and efficaciousness of Christ the one mediator” (Lumen Gentium, No. 62). In 1965, Pope Paul VI published an encyclical, Mense Maio (“The Month of May”), on prayers during May for the preservation of world peace. In part, the encyclical detailed the Church’s special devotion to Mary during May.